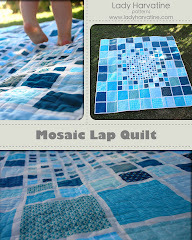 Here is the quilt that I made for my friend's newborn baby boy. Lilly is helping. I am really really happy with this quilt. I wish that I had come up with the design myself but alas, I did not. I was first inspired by this quilt, made by Stardust Shoes, who was inspired by 6.5 Stitches, the designer of the original. I loved this design the second I saw it. I used a lot of flannel for this quilt. Soft for the baby. The light blue is very thin corduroy and the back is a solid piece of green flannel. I used fabric paint and my magnetic alphabet stamps to print the baby's name on cotton tape. That took many many tries. I bought extra tape and I certainly used it. After I had settled on this design and bought all of my fabric, I noticed this post on 6.5 Sts' blog. She is a little up in arms because some unnamed blogger has been copying many of her designs without giving her credit. Hmmm... Now this did not deter me from moving forward with my plan. I had always intended to give credit where credit was due. It did kind of muddy my happy inspiration though. 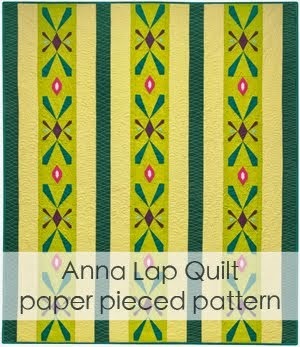 It also made me feel a tad foolish for making this quilt. This is certainly something that I have thought of in the past. It is easy to feel like I should only be creating original work, that it is a waste of my time to make things from patterns or based on other people's designs. Sometimes I even think that I need to shelter myself from even looking at other people's work so that I have no choice but to be unique. I think these are naughty feelings. I have come to realise that any creative process needs inspiration and motivation and there is such a wealth of both to be found on this wide, wide world of web. The trick is to be open to it. It is so easy to look at other people's work and have feelings of jealousy, wishing that you had come up with a certain idea or intimidation, feeling dejected because you can't imagine ever being as creative or as skilled as someone else is. Everytime I read someone else's blog, flip through pictures on flickr or talk to another crafter, I work so hard to take everything in in a positive way. I don't feel overwhelmed or jealous but inspired and energized to create something of my own. This isn't always easy but I realise how much I can gain from being positive and how much of a deterrent a negative attitude can be on a happy, productive life. Another important thing that I have come to see is that it doesn't matter if I am not always being totally unique and original. I make what I am inspired to make. It is so preferable to be creating a loving imitation of someone else's genius than it is to sit around waiting to come up with genius of my own, creating nothing. Making things makes me happy and there is nothing better than looking up from the inspiration on my computer screen at all of the inspirational things around me, things that I have made with my own two little hands, if not all with my own little brain. So, what am I working on now? Another copycat project! Interestingly enough, this one is also a secondhand inspiration. I first fell in love with this blanket, made by Alicia Paulson who was inspired by Jane who made this blanket! But the inspiration train does not end here. A whole group of happy hookers and naughty knitters have formed a Ripple-Along! So you see, be like these ladies (and gents? ): just make what makes you happy and be happy that you have the power to do so! This blanket is definitely a kind of bonus project, perfect for lounging and tv watching, not necessarily my main objective. It takes a long time to churn this baby out! I will keep you updated on my slow progress though, don't you worry! I adore your quilt and you gave proper credit as well!! I just happened on your site from flicker and I love how it looks. I look forward to poping back in again! nice quilt! you amaze me with how fast you make those things! i know what you mean about being inspired versus copying someone else's ideas. i struggle with that a lot in my own creative process, and even in my job. but the thing to remember with our own personal crafts and hobbies is that on some level, something is always inspiring us, whether we can pinpoint what it is or not. i don't think you should worry about feeling guilty. you put your own spin on anything you do anyway- you're not copying it verbatim. and if we weren't meant be to inspired by other creative stuff, then why do we get that rush inside us when we see something that strikes a chord? it's the same thing when you are working on something that you think is an original idea, and then you see someone else already did it. then you feel guilty continuing with the project, but that's not cool. creativity plots its own course and its our job to simply keep it going until it gets there. i'm babbling. i just was perusing your blog and thought it was an interesting discussion so i thought i'd chime in. and i wanted to say your quilts are AWESOME. You have totally come into your own as a craft blogger. You speak with great eloquence, practicality, and passion, and I completely agree with you. I think one of the loveliest things about handcrafts is that it doesn't have to be part of a pretentious art-genius type of world, that it can be about utility, the thought behind the creation, and the sharing. 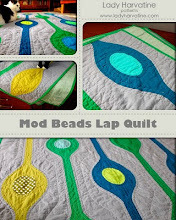 Well said, and beautifully quilted! the baby quilt is lovely! Hot topic! I really like how you worded this, and I totally agree with you. I have been reading a lot about this lately and I think a lot of people get all up on their high horse, but shouldn't. 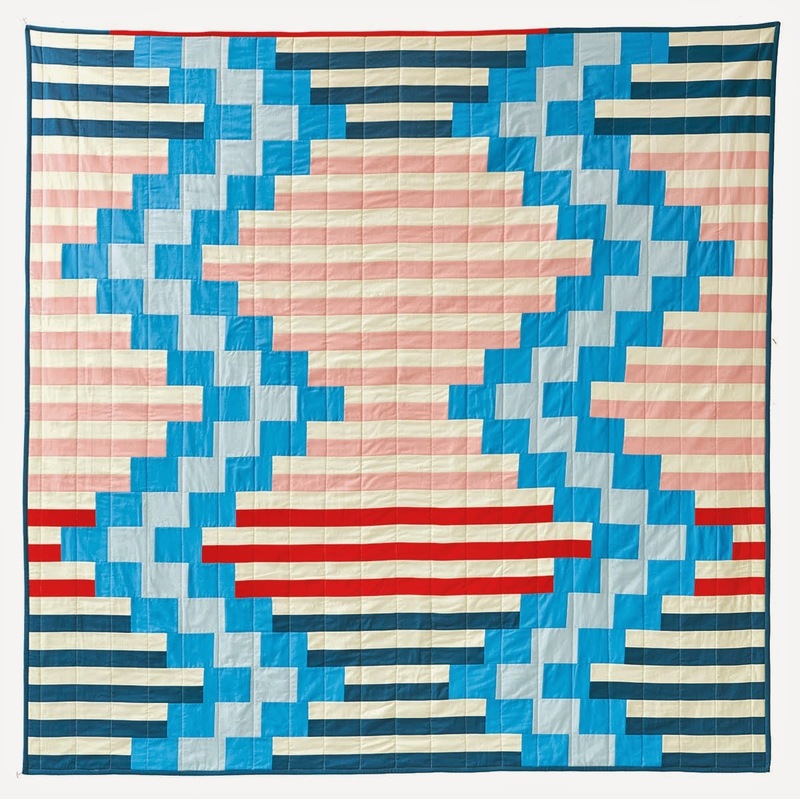 If I made, say, an American flag type quilt, well, I would bet that someone somewhere has made one like it already. Who's to know? There really is nothing new under the sun. I think it would be wrong to say, buy a pattern and photocopy it and sell those copies in your rummage sale or whatever, but to make something similar to what someone else made, well, that's just life. Those people need to recognize that and get over it. I also have read, not sure if it's true or not, that a quilt cannot be "copyrighted" because it's considered useful, not so much art. I think a lot of quilters would argue with that one, but I personally use all mine as a blanket, even my "pretty ones", so in my case it's true. So, yeah, that was a long reply, huh? Haha! Anyway, I liked how you expressed your feelings on this!